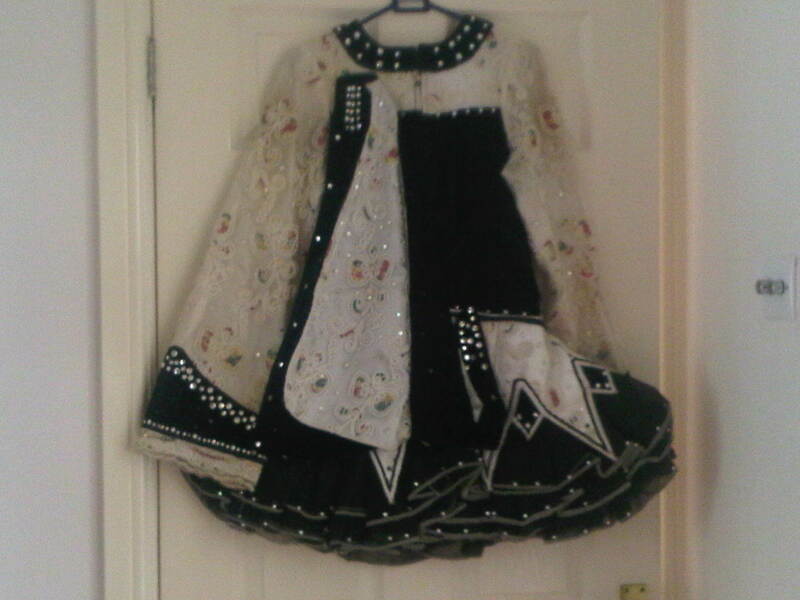 Beautiful Black and White dress designed by Multiple WMH dancer and made by dressmaker. 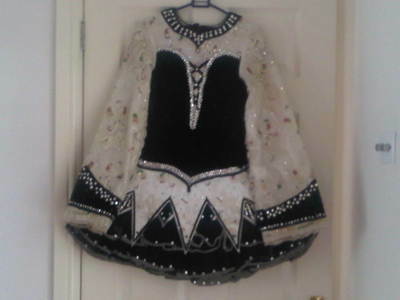 White Chiffon fabric with intricate sequins of red, gold and green. Black Velvet bodice with lots of Black Swarovski crystals. 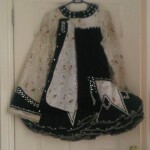 Tinkerbell Skirt edged with black and clear swarovski crystals. Very successful Costume, many compliments. Stunning stage presence. A few tan marks on the inside but not visible whilst on stage. Asking Price: £350 ONO. Shipping costs not included. Sale is final.